Avenue Of Allies are happy to announce the signing of the band Hartmann and the release of the band's fourth studio album Balance on June1. Oliver Hartmann first appeared on the international music scene during the late 90s as the front man of the Heavy Rock outfit At Vance. During his successful time with the band they recorded 4 albums and Oliver became an internationally well-known and highly respected singer. Since then his powerful voice has been heard on rock operas such as Avantasia, Aina and Genius and on many productions by well-known international Rock acts like Hammerfall, Edguy, Helloween, Lunatica, Rhapsody, Soul Seller and Empty Tremor. After leaving At Vance he started to focus more on the songwriting for his new band Hartmann. Frontiers Records signed them in 2004 and the first album Out In The Cold was released in 2005. The Hartmann debut was the positive surprise of the year for many people, it received rave reviews and was rated “Album Of The Month“ in many well-known Rock magazines all over the world. Among the most notable achievements was being elected as “Debut Album Of The Year” on melodicrock.com, the song What If I becoming Song Of The Year and Into The Light coming in 2nd on the Ballad Of The Year poll of the same webzine. With Home and the unplugged CD/DVD Handmade more successful releases followed. 2008 saw Oliver Hartmann touring as guitarist/singer for Tobias Sammet's Avantasia, the internationally successful DVD / CD set “The Flying Opera” documents these live events. European shows with Hartmann as support for Edguy followed in spring 2009. With the aptly titled third studio CD 3 the band again delivered the goods with songs of their unique brand of Melodic Rock with a modern twist, including the outstanding duet "Brothers“ with Edguy / Avantasia's Tobias Sammet. During the past two years, the band Hartmann played numerous shows as support of bands such as Mother's Finest, Uriah Heep and Y&T and in January 2012 Oliver Hartmann joined the line-up for the very successful Rock Meets Classic tour on vocals and guitars. The concerts showcased the impressive cast of Rock legends by the likes of Ian Gillan/ Deep Purple, Jimi Jamison/ Survivor, Steve Lukather/ Toto, Chris Thompson/ Ex-Manfred Mann's Earth Band and Robin Beck. 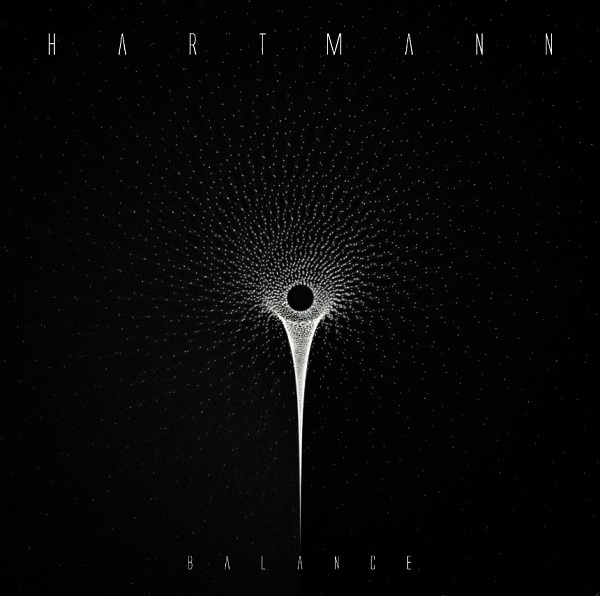 The recordings for the new Hartmann album Balance were completed in April 2012. The 4th effort of the band once again offers melodic Rock music with a modern approach on the highest international level backed by a top notch production. The songs, mostly written by Oliver Hartmann himself, cover a wide variety of moods and showcase the whole range of the musical genre, always focusing on catchy melodies and expressive choruses. Highlights include the irresistible mid-tempo opener “All My Life”, the cleverly arranged rocker “You Are The One”, the relaxed tune “Dance On The Wire”, the diverse “Fall From Grace”, the power ballad “After The Love Is Gone” and the atmospheric track “From A Star”. In addition to the original material, “Balance” includes a stunning cover version of the Tears For Fears smash “Shout”. Balance was once again mixed by Sascha Paeth (Avantasia, Edguy, Epica, Kamelot) at Gate Studios, Wolfsburg, Germany and will be released on the 1st of June 2012 on the Avenue Of Allies label. Hartmann are: Oliver Hartmann: vocals / guitars, Mario Reck: guitars, Armin Donderer: bass, Dario Ciccioni: drums / Additional musicians : Jürgen Wüst: organ on “Fall From Grace”, Xaver Fischer: keyboards on “After The Love Is Gone”, Tiffany Kirkland: backing vocals on tracks 1,4,5,6,8,10,11,12. WebLinks: www.oliverhartmann.com / www.facebook.com/OliverHartmannPage / www.myspace.com/oliverhartmann.